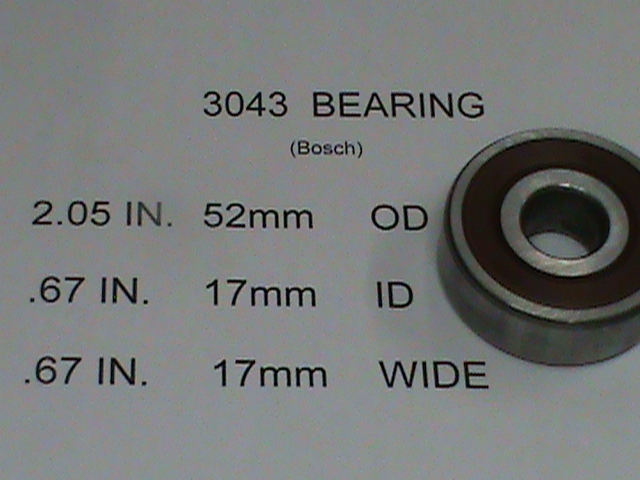 The 3043 bearing is a common bearing in many Bosch alternators. 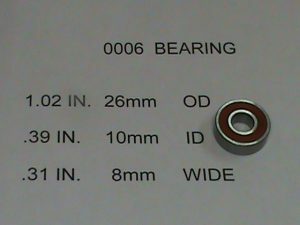 Many Bosch alternator applications feature this large bearing in the drive end (just behind the pulley) It is best to be careful when ordering bearings for a Bosch alternator because some also have the 3036 bearing. 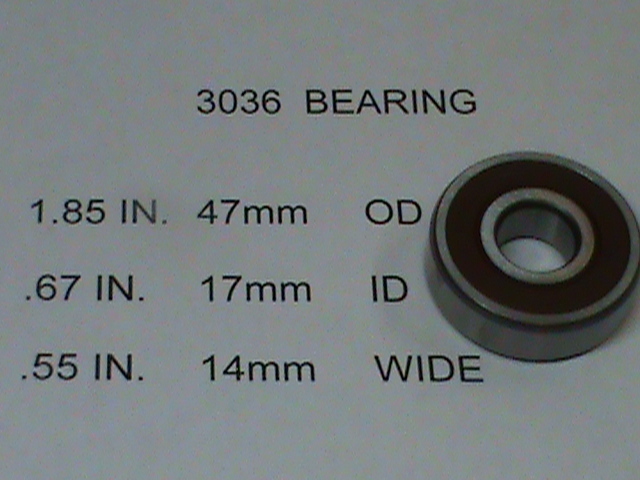 The 3043 bearing is the same OD and ID as the 3042 but the 3043 is 1mm thicker from the side view. In today’s automotive market, the Bosch alternator is common in GM, and Dodge trucks. Also, the Bosch name is popular in European made vehicles like Volkswagen, Volvo and Audi. 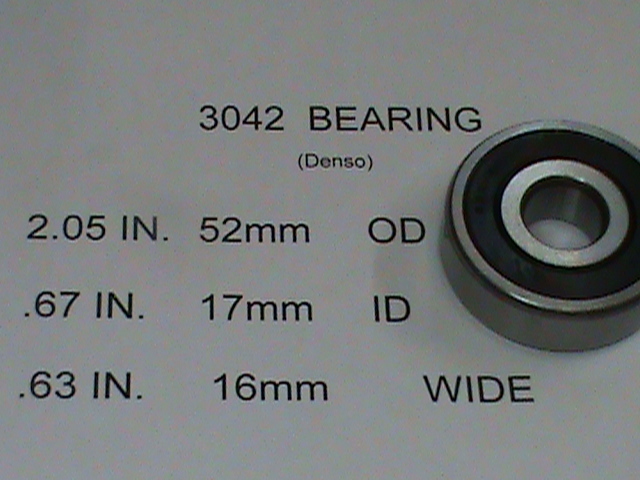 The 3042 bearing is extremely common on Denso products. The 3042 bearing is in the drive end of the alternator which is just behind the pulley. Denso products occur predominately in Japanese makes, but also can be found in Dodge trucks and GM models. 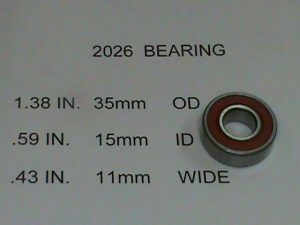 It is best to be careful when ordering bearings for the drive end of a Denso alternator because some models contain a 3036 drive end bearing. The 3042 bering is the same as a 3043 bearing except from the side view it is 1mm narrower. 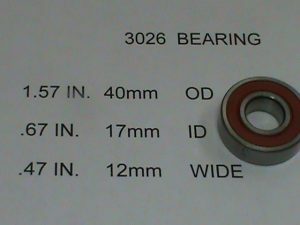 The 3026 bearing was perhaps the most popular alternator bearing of all time back in the day. It is found in the drive end of Ford, Chrysler and GM alternators of the 70’s and 80’s. 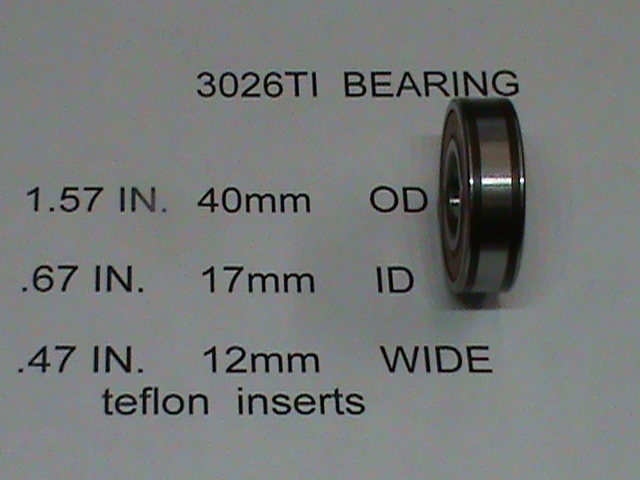 The 3026TI is very similar to the 3026 bearing. The difference is the 3026TI bearing has 2 teflon inserts on the side of the bearing which is visible from the side view. 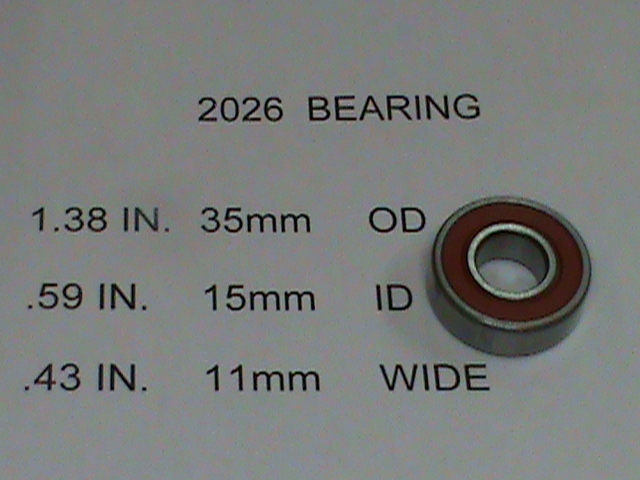 This bearing is mostly only in the 4g rear end which is in some Ford products. The teflon inserts provide the ability for the bearing to move laterally in it’s outer race to allow for expansion and contraction due to thermo cycle. This keeps bending stress off the bearing. The 3036 bearing has replaced the 3026 bearing as the most popular drive end bearing for automotive applications of today. This is the most popular bearing for all domestic and foreign manufactures. 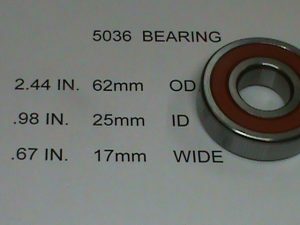 The 5036 bearing is the most popular drive end bearing in the heavy duty truck world. This bearing occurs in most delco and prestolite alternators that dominate the 18 wheeler alternator market, and the cab over conventional truck alternator market. The 2026 is an extremely widely used slip ring end (rear end frame) bearing in many alternator manufacturers. It occurs predominately in both the foreign and domestic made automotive applications. 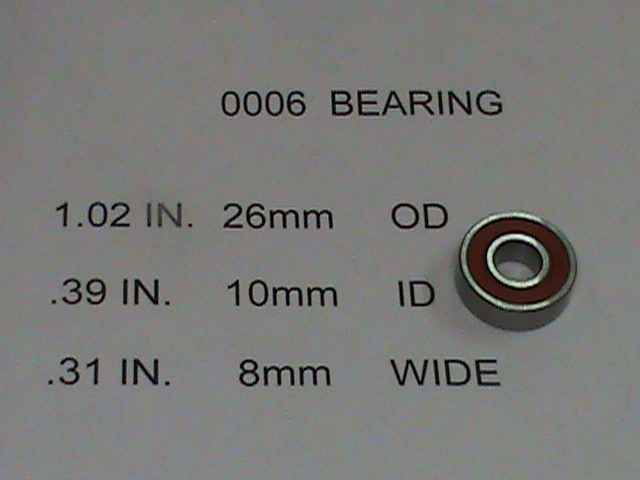 The 0006 bearing was a popular rear bearing in GM’s “CS” series alternator. The CS alternator started in the late 80’s and ran in roughly all GM’s till the middle 90’s. It’s extra ordinarily small size (for alternators) made it somewhat troublesome for many GM car owners. It is the smallest high production ball bearing in alternator history.